The Arizona Archaeologist is published annually by the Arizona Archaeological Society. Membership includes the current year's Arizona Archaeologist. The Society is currently in the process of converting all of its past publications for sale on Amazon. The Society welcomes unsolicited, original papers relating to the prehistoric and historic archaeology, ethnology, history, and ethnohistory of the Southwestern United States and Northwestern Mexico. Submissions for possible publication in the Arizona Archaeologist or questions regarding the Arizona Archaeologist should be directed to the Arizona Archaeologist Editor at azarched@azarchsoc.org. The AAS "Members-Only" section of the website provides members with access to a free PDF or Kindle version (MOBI format) of volumes - see the "Research Pubs" tab in the "Members-Only" section. Nonmembers or members not signed in with their password do not have access to the PDF or Kindle downloads in this section. Attention: Professional, Avocational, Researcher, Student, Library, and Interested Parties - Times change and distribution methods improve in the digital age, especially with the advent of Print-On-Demand activities such as Amazon type distribution. The Arizona Archaeological Society is providing rare opportunities with certain select publications of the Arizona Archaeologist. For a complete listing of high inventory, Click Here or contact the Archivist, Alan Troxel at alantroxel@yahoo.com. 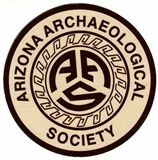 Archaeologist Historical Link<<<This link provides a complete historical index of Arizona Archaeology publications and papers. Van Dyke, Marjorie T., A.A.S. Desert Foothills Chapter. 1981. Exploration and Excavation at Sitio con Dios Ranch Ruins (Site: AZ:ScD:1): A Phase of the Hohokam Indians of the Upper Cave Creek Basin, Arizona. 68 pages; maps, photographs. Six Hohokam structures were excavated, and a number of petroglyph panels recorded, on either side of Cave Creek, northeast of Phoenix. A full range of artifactual materials was recovered. The ceramic assemblage is dominated by Wingfield Plain. The limited numbers of red-on-buff sherds suggest a Gila Butte/Santa Cruz Phase occupation on the east side of the creek (around A.D. 675 - 850), and a Sacaton/Soho Phase occupation on the west side (around A.D. 1000 - 1275). McKusick, Charmion R. 1986. Southwest Indian Turkeys: Prehistory and Comparative Osteology. Globe, Arizona: Southwest Bird Laboratory. 64 pages; 33 maps, photographs, drawings. Populations of wild turkeys during the Pleistocene went extinct. Domesticated turkeys appear to have been subsequently introduced to the Southwest, from Mexico, during late Archaic times, along with various domesticated plants. Escaped birds eventually created the feral turkey populations seen in the wild in historic times. Use of turkeys as food, their eggs, feathers, and bones are reviewed, as well as their sacrifice for religious purposes. All archaeological occurrences of Small Indian Domestic, Large Indian Domestic, and wild Merriam's turkey remains are discussed by age and cultural/geographic distribution. Information on the comparative osteology of these groups is illustrated by McKusick's immaculate life-size illustrations, suitable for use doing zooarchaeological identifications. Archaeological Investigations at the Deer Valley Site: by Donald E. Dove, Phoenix Chapter. 86 pages, 20 maps, photographs, drawings. This descriptive report covers field work conducted from 1985 to 1987 by the Arizona Archaeological Society near Cave Creek stream in north Phoenix Valley south of present day Deer Valley Road. The site was periodically occupied by 10th Century Hohokam during wetter seasons. It was a joint effort by professional and avocational personnel. PDF available for download by AAS members in the Member-only area of this website under the tab "Research Pubs." Untitled volume of papers 40 pages; 10 maps, drawings. "Comments on 'Salvage Archaeology in the Painted Rocks Reservoir, Western Arizona'" by Albert H. Schroeder is a critique of the report noted in the title, written by William W. Wasley and Alfred E. Johnson, published in 1965 as University of Arizona Anthropological Papers No. 9. Schroeder contrasts their interpretations of Gila-Bend-area Hohokam archaeology based on excavations, with his own, which were based on extensive survey, and takes exception to their ceramic analyses. "The Importance of Archaeological Field Records" by Robert G. Chenhall is a now old, but still sound introduction to the need for adequate, nay, professional field records, which should still be required reading for everyone doing fieldwork. Foreshadows Chenhall's subsequent interests in improving museum cataloging through the use of standardized nomenclature and computers. "A Site on the Verde" by E. M. Valehrach reports on initial excavations at a large masonry pueblo north of Phoenix. A fuller report on the site (later named Brazaletes Pueblo) and additional excavations is presented in Arizona Archaeologist No. 6. "Some Archaeological Discoveries" by Sam Turner and Edith Turner records miscellaneous artifacts and features from various locales in Arizona, including Davidson Canyon southeast of Tucson, Arivaca, the Bill Williams River area, the Walk-in Well at Bouse, and near Marana. Robert G. Chenhall. Chenhall, Robert G. 56 pages; 20 maps, photographs, drawings. The Silo Site was selected for test excavations by the Archaeological Field Methods class, Department of Anthropology, Arizona State University, in the spring of 1967. Located southwest of 40th Street and Broadway in Phoenix, the site had been heavily disturbed. Two pithouses were excavated (one Snaketown Phase, one Sacaton Phase), and a series of test trenches, with a well-illustrated descriptive report prepared with enviable timeliness. 34 pages; 7 maps, photographs. "Minerals and Rocks at Archaeological Sites: Some Interpretations from Central Western New Mexico" by Alfred E. Dittert, Jr. is a discussion of the types and sources of stone artifacts found on sites recorded and tested in the Cebolleta Mesa Region near Acoma, New Mexico. Changing patterns of use and trade of various types of raw stone materials are proposed, ranging from stone for masonry, clays for pottery making, pigments, sources for making chipped and ground stone tools and jewelry, and salt for cooking. "Fourteen Prehistoric Sites in Nankoweap Canyon, Grand Canyon National Park" by Roger E. Kelly describes 13 sites with ceramics suggesting Kayenta Anasazi occupations in the 1100s until about A.D. 1250, consisting mostly of a few masonry rooms each, although one site probably also has a circular kiva. One earlier site, a deep cave, revealed only a small human handprint in the sand, and remnants of juniper-bark torches, one of which produced a radiocarbon date of about A.D. 570. "The Casa Grande Calendar Holes" by Roy W. Reaves, III, examines the history of various holes in the walls of the "Big House" at Casa Grande National Monument, and argues that those in the second story were not for Classic Period Hohokam astronomical or calendric observations, but suggests that those in the forth story were. "Pima Basketry" by Clark Field gives brief historical remarks about Field's own collection of Pima baskets, and that of A. E. "Bert" Robinson, the author of The Basket Weavers of Arizona. "A Glance at the History and Archaeology of the Lower Verde River" by Brett Hagenstad is a preliminary report on four years of study and survey on the Fort McDowell Indian Reservation by the author, archaeologist Frank Midvale, and Philip Dorchester, a Yavapai living at Fort McDowell. Highlights are presented of the prehistoric and historic sites recorded. Emil M. Valehrach and Bruce S. Valehrach. Valehrach, Emil M., and Bruce S. Valehrach. 48 pages; 26 maps, photographs, drawings. Reports on the mapping and test excavations conducted at this large masonry pueblo located north of Phoenix. The ceramic assemblage suggests a cultural affiliation with the Sinagua, and a date for at least parts of the site around A.D. 1100 to 1300. Several inhumations were excavated that had abundant grave goods, including painted wood staffs. A preliminary report on part of these excavations was published in Arizona Archaeologist No. 1. Rice, Glen E., Steadman Upham, and Linda Nicholas (editors) The Arizona Archaeological Society and Anthropological Field Studies 4, Office of Cultural Resource Management, Arizona State University, Tempe. 179 pages; 37 maps, drawings. Alicia was a small Pima community on the Gila River Indian Reservation south of Phoenix, occupied between about 1900 and 1914. Part of the site was excavated before its destruction by new agricultural fields, and this is a thorough documentation of that work, including a broader examination of Pima houses and settlements, and ethnohistorical notes by Sally Pablo and Joe Giff. #17-1983 Sinagua Social Differentiation: Inferences Based on Prehistoric Mortuary Practices John W. Hohmann. 128 pages; 38 maps, photographs, drawings. Analysis of 382 inhumations and their associated mortuary rituals and offerings from the Northern Sinagua area focuses on recognizing social differentiation in Sinagua society. It is suggested that the emergence of a high-status merchant class is tied to the growth and development of trade networks during the Angell-Winona and Elden Phases (A.D. 1066 - 1250). Joanne and Earl Cline. The Prescott culture, a relatively unknown component of the prehistoric Indians of the Southwest, is being investigated by the Yavapai Chapter of the Arizona Archaeological Society. This report covers the excavation of the Storm Site, near Prescott, AZ, comprised of two two-room pueblo-like, surface masonry structures and a portion of the "plaza" which they enclosed. The ecological, architectural, and cultural features of the site are delineated and an inventory and analysis of cultural materials is included which shows influence of the Hohokam, Sinagua, and Anasazi, neighboring cultures to the South, East, and North, respectively. Donald R. Keller. 93 pages; 16 maps, photographs, drawings. The Gray Mountain Site, located between Flagstaff and Cameron, consists of numerous flint-knapping loci scattered across 56 acres where chert nodules are naturally eroding from Kaibab Formation limestone. Analysis of extensive collections of cores, core tools, flake tools, and debitage suggest the loci were for the collection of raw material and preparation of biface preforms. Temporally diagnostic points or tools were not recovered, but comparisons with other assemblages suggest the site was utilized during pre-agricultural times by Western Archaic Tradition groups. Also presented is a useful review of the "Tolchaco Complex." J. Scott Wood. 178 pages: 17 maps, 57 figures of comparative decorated sherds, phase sequence chronology chart, alphabetical listing and index of types with dates, charted design/structure/motifs/styles found in overall prehistoric southwest, glossary of terms taken in part from Colton and Hargrave (1937) and Hawley (1936). The overall text discusses Plainwares of Tonto National Forest; Redwares of Tonto National Forest; Decorated Pottery of Tonto National Forest, Central Arizona Plain, Red, and Decorated Wares; Trade and Other Pottery found in association with types of Central Arizona Tradition; Miscellaneous Pottery types from Northern Mexico; as well as Protohistoric and Historic Native pottery of Central Arizona. There is a conclusion and many handy references. PDF available for download by AAS members in the Member-only area of this website under the tab "Research Pubs". Ferg, Alan, William H. Liesenbein, Peter J. Pilles, Jr., and Pamela Haas. 129 pages; 32 maps, photographs, drawings. Joseph City was one of four Mormon colonies along the Little Colorado River founded simultaneously in 1876. A brief history of this colonization effort is presented. Salvage excavations in trash deposits associated with the "Old Fort" yielded a range of artifacts associated with both the Mormon occupation of the site, and subsequent use by laborers when the railroad was built through the valley. Artifact analysis focused on comparing and contrasting known historical dates and events and what could be inferred from the archaeological assemblage. Of significance for work in other contemporary sites is the glazed redware pottery made by a Mormon potter in the sister-community of Brigham City (at Winslow), and recognition that artifact assemblages from Mormon sites may not be readily distinguishable from those of non-Mormon sites. Compiled by Richard W. Effland, Jr. Effland, Richard W., Jr. (editor). 214 pages; 37 maps, photographs, drawings. The Hohokam site of Los Hornos originally covered over a mile square in what is now Tempe. Excavation of a 2-acre wedge of the site yielded 40 pithouses, 12 cremations, and associated trash deposits and extramural features, ranging in age from as early as A.D. 450 to as late as A.D. 1450. Extensive analyses of architecture, artifacts, faunal and floral samples, and human remains address household organization at the site, questions of the age of features, subsistence strategies, and architectural variability. Alan Ferg and Jim Mead Ferg, Alan, and Jim I. Mead. 87 pages; 19 maps, photographs, drawings. Red Cave is a cavern in the Whetstone Mountains of southeastern Arizona and contains a prehistoric shrine. Recording and collecting at the site took place in 1973, 1988, 1990 and 1993, revealing an assemblage of shaped potsherd disks, whole and fragmentary pots, beads and pendants, an arrow, and five cane tubes, one containing saltpeter, and another containing native tobacco. The main focus of activity in the cave was a water-filled spelethem basin where most of these materials had been deposited as offerings. Decorated ceramics indicate the cave was used by the Hohokam during the Rincon Phase, probably during Middle Rincon times, between A.D. 1050 and 1100. Based on analogies with ethnographic shrines, it is proposed that Red Cave was primarily a hunting shrine, but may have been viewed as an emergence shrine as well. Its location might have marked the eastern boundary of territory claimed by the Tucson Basin Hohokam during Middle Rincon times. Edited by Anne Trinkle Jones and Marilyn D. Tagg Jones, Anne Trinkle, and Martyn D. Tagg. 158 pages; 40 maps, drawings. This volume contains 7 papers originally presented at a 1988 symposium at the Society for American Archaeology annual meeting. The area under consideration in northeastern Arizona reaches from Homol'ovi State Park on the west to Springerville on the east, and from the Hopi Buttes on the north to the Mogollon Rim on the south. Basic culture historical data for the Middle Little Colorado River Valley is reviewed based on large-scale surveys and comparative studies, and syntheses of previous and (at the time) new archaeological work in the area are presented. Material culture studies include an examination of the exchange of Little Colorado White Ware ceramics around A.D. 1050 to 1250, and a typology and chronology of projectile points for the area from Paleo-Indian up through Western Apache. Ahlstrom, Richard V.N. and Heidi Roberts with a contribution by Linda Scott Cummings and Kathryn Puseman. 117 pages, 23 figures, 8 tables. This is a scanned facsimile of the original 1995 camera-ready pages. The volume, one of the most popular in the Arizona Archaeological Society’s series of research publications, The Arizona Archaeologist, is once again available. Prehistory of Perry Mesa offers an overview of a small, isolated plateau lying within the mountainous Transition Zone of central Arizona. During the fourteenth century, the area on and around the mesa was home to a population of Native Americans who built several dozen masonry pueblos, the largest of which are remarkable for their size—100 or more ground-floor rooms, probably two stories high—and, often, for their dramatic settings at the edges of cliffs overlooking deeply incised canyons. It appears that the people of the Perry Mesa Tradition migrated to this locale, lived there for at most 200 to 300 years, and then moved on. The mesa preserves an essentially complete Classic period settlement-subsistence system within a bounded environmental setting. Stuart J. Baldwin. 87 pages; 24 maps, drawings. This study proposes that Apacheans immigrating into the Southwest from the Northern Great Plains introduced a complex of cultural traits associated with hunting and warfare to the Pueblo Indians before the arrival of the first Spanish explorers. This hunting-warfare complex consists of three artifact types - (1) the sinew-backed bow, (2) the mountain lion-skin quiver, and (3) the bison-hide shield - and two motifs that appear in rock art and on artifacts - (4) the four-pointed star, and (5) the heartline. Examination of archaeological evidence from the Southwest indicates a lack of the five traits prior to the beginning of the Pueblo IV period, around A.D. 1300. Earliest datable appearances of each of the five traits within the Southwest are found to be within the A.D. 1400s, concurrent with the probable time of arrival of the Apacheans. Additional archaeological data indicate that all five traits can be traced back to the Northern Great Plains, and the heartline motif to possible origins somewhere on the northeastern periphery of the Great Plains. Finally, a tentative reconstruction of a two-stage migration south by the Apaches from Alberta to New Mexico is presented. By the A. A. S. Yavapai Chapter. 242 pages; 73 maps, photographs, drawings. Excavations at the Sundown Site, NA 16385, which is representative of the Prescott culture, revealed a large trash mound, two pithouses, and what may have been a ramada or work area. One unit of the site was located by interpretation of aerial photographs. Nonlocal ceramics, two copper bells and obsidian were apparently traded into the site; quantitative tests were performed to determine the source of the copper and a sample of the obsidian. A large amount of unworked and discarded pieces of Del Rio argillite, as well as finished objects, suggest these were an important commodity traded out from the Sundown Site. Of special importance was the excavation of 22 burials comprising 31 individuals. Analysis of the human skeletons, and discarded animal bones, provided significant information regarding the lifestyle and nutrition of the inhabitants. Radiocarbon dating suggested an occupation span for the site of A.D. 775 to 1000, while intrusive tree-ring-dated pottery suggested a range of A.D. 900 to 1300. The site was likely occupied by a small group and may have had multiple occupations and abandonments. McKusick, Charmion R. 208 pages; 71 maps, photographs, drawings. Bones and feathers of birds have been recovered from archaeological sites in the Southwest, dating as early as 300 B.C. to the present. A four-part model is presented which relates the occurrences of these specimens to socio-politico-religio-economic stages in the development of the prehistory of the American Southwest. These include Paleo-Indian Big Game Hunting, Dry Farming, Canal Irrigated Farming, and Population Aggregation phenomena as illustrated by archaeological excavation, osteological remains, and iconography in Southwestern and Mesoamerican sites. The Protohistoric period is characterized by the presence of three systems: the persistence of Archetypal Deity Cults to which various avian species were sacrificed, the development of the Pueblo Katsina Cult which required vast numbers of feathers for prayer sticks, and the Societies which used birds in still other ways. Chapter 20 is a comparative osteology of Bald and Golden Eagles, containing McKusick's immaculate life-size illustrations of bones of both species, suitable for use doing zooarchaeological identifications. Edited by John R. Welch and Todd W. Bostwick. Welch, John R., and Todd W. Bostwick. 163 pages; 49 maps, photographs, drawings. This volume contains 8 papers by 12 authors, originally presented at a 1998 symposium sponsored by the Arizona Archaeological Council, the Arizona Archaeological Society, and the Arizona Archaeological and Historical Society. The symposium was intended to showcase current research examining connections between places built or used, at least in part, to establish tactical advantages over actual or prospective opponents -- "tactical sites." Although useful distinctions have been made by some scholars between "raiding" and "warfare" this volume treats raiding as simply one form of warfare. Prehistoric sites are examined in northeastern and central Arizona, the Sierra Ancha Mountains, and Upper Salt River drainage, as well as historic Mescalero Apache sites in southeastern New Mexico, and Navajo pueblitos in northwestern New Mexico. Thomas E. Wright. 265 pages; 63 maps, photographs, drawings. Limited test excavations at Brown's Ranch Rock Shelter resulted in the identification of 15 archaeological features and the collection of about 8,100 artifacts, over 11,000 pieces of faunal bone, and 11 soil samples that were subjected to flotation and pollen analysis. Temporally diagnostics artifacts (including ceramics and projectile points) indicate that the site was used intermittently between about 7000 B.C. and A.D. 1850 -- a period of nearly 9,000 years. Early, Middle, and Late Archaic projectile point styles are present, along with ceramics and projectile points attributed to pre-Classic and Classic Period Hohokam groups and the protohistoric or early historic Yavapai. Analysis of artifacts, soil samples, and faunal bone suggests that the site functioned as a temporary camp associated with the seasonal exploitation of local floral and faunal resources. This pattern varied somewhat through time. During the Archaic and Protohistoric periods, the site appears to have functioned as a base camp associated most strongly with hunting. The Hohokam probably used the site on a more limited, short-term basis focused on plant food collection and processing. The implications of this repeated use of desert resources by three distinct cultural groups over a long period of time are explored, and use of the site is related to the varying logistical strategies of its occupants. #34-2002 Phoenix Basin to Perry Mesa: Rethinking the "Northern Periphery." Edited by Hackbarth, Mark R., Kelley Hays-Gilpin, and Lynn Neal. 263 pages; 56 maps, photographs, drawings. This volume contains 16 papers by 17 authors, originally presented at a 2000 symposium sponsored by the Arizona Archaeological Council. Although this area is generally regarded as occupied by the Hohokam in prehistoric times, various viewpoints and data sets address the difficulties in defining exactly what cultural groups were living in which areas at different points in time. Topics range from examinations of specific sites and classes of material culture, to discussions of subsistence strategies and settlement patterns within this area, and finally, the place of the "Northern Periphery" within the regional context of prehistoric central Arizona. Ferg, Alan. 66 pages; 43 maps, photographs, drawings. Both the Chiricahua and Mescalero Apaches of southeastern Arizona and southern New Mexico made pottery in protohistoric and early historic times, but in very small quantities. Ethnographic descriptions of pottery made by these groups are recounted, and archaeological whole vessels and sherds thought to be their handiwork are documented. Radiocarbon dating of five samples of pine pitch (and possibly burned food residues) from jar exteriors produced early historic-era dates, but with such large calibrated ranges that the dates are of limited use. Photographs of 21 whole vessels are published, along with a group of 19 unfired Mescalero clay figurines/children's toys, collected by 1905. Hackbarth, Mark R. (editor). 129 pages; 24 maps, photographs, drawings. Archaeological excavation of an early Classic Period farmstead identified a masonry structure, midden, one extramural pit, and a surface artifact scatter. Artifact analyses suggest a brief, year-round occupation followed by the salvaging of construction elements, and abandonment of the site. Erosion filled the house depression with redeposited artifacts. Association with agricultural activities is evident from the remaining artifacts and agricultural features found outside the current site boundary. The site contributes information about the regional settlement pattern of dispersed farmsteads in the Cave Creek Basin. Wright, Barton. 132 pages; 49 maps, photographs, drawings. Catclaw Cave, a rockshelter on the Colorado River, was excavated in the summer of 1949 because it was thought to be endangered by the waters rising behind newly built Davis Dam. It was analyzed and written up as a Master's Thesis at the University of Arizona by Barton Wright (1954). Recovered artifacts included chipped stone, ground stone, fired pottery, unfired figurines and "pseudo-pottery" or Incipient Plain Ware, bone and shell artifacts, animal bones, plant remains, and a variety of perishable materials including hoof, horn, antler, hide, fur and feathers. Notable among these were remains of corn, squash, a bison horn core, a mandible of an extinct Bighorn Sheep species (non-cultural), and an abundance of fish bones. Features included a small structure, hearths, pits, and a cache of ochre. Dating and cultural affiliation were inferred from the artifact assemblage. The Catclaw Cave materials are considered to have originated with the Cerbat Branch of the Patayan Culture, with two occupations posited, one dating to Basketmaker III times (Eldorado Phase), and one to Pueblo II times (Willow Beach Phase). Contains numerous photographs by the author, many published here for the first time. Zoll, Kenneth J. 32 pages; maps, photographs. The Casa Malpais National Historic Landmark site is just outside Springerville, in northeastern Arizona. It was built and occupied by Mogollon culture inhabitants from about C.E. 1250 to 1400. A study of the cultural astronomy of the site was conducted by the author from 2009 to 2011. The masonry feature previously identified as a "solstice observatory" was found to have been used for solar sunset observations. In addition, several rock art features were found to be astronomical seasonal markers. Spall, Mary and over a dozen other Yavapai Chapter contributors and outside specialists. 294 pages; 68 maps, photographs, drawings. This monograph documents excavations at the Coyote Ruin conducted in the late 1920s by J. W. Simmons, and between 1998 and 2004 by the Yavapai Chapter, along with exhaustive analyses of the materials recovered, including ceramics, lithics, shell artifacts, plant remains, animal bone, and human remains. The site consists of a small hilltop stone pueblo, with additional masonry rooms, pit structures and agricultural features on the surrounding slopes, dating from perhaps the A.D. 900s until after 1300. Data from Coyote Ruin and surrounding sites is synthesized for discussions of subsistence, social organization, trade, and conflict in the Prescott Culture. Christenson, Andrew L. 156 pages; 56 figures, 3 tables, and an extensive index. This volume is richly illustrated with dozens of maps, photographs, and other illustrations. The production of knowledge about the archaeological record involves efforts by both amateur archaeologists, working because they love what they do, and professional archaeologists, who may also love what they do but have also have chosen to make a living from the activity. This book examines a roughly 90-year period in the relationships between amateurs and professionals who have worked in the Prescott region of central Arizona. Three individuals who receive close attention are: J. W. Simmons, the first to identify the region as culturally different and attracting professional interest; Franklin Barnett, who focused on excavating late pueblo ruins in the region; and Ken Austin, whose regional surveying documented the numerous hilltop sites in the area. All three of these amateurs worked with professionals, but also inspired additional researchers to continue their path-breaking work. The book explores the archaeological societies in Prescott, particularly the current Yavapai Chapter of the Arizona Archaeological Society, which is active in important salvage work and research for nearly four decades. McKusick, Charmion R.153 pages; 38 figures, 5 tables. This volume follows development of Salado iconography from the Old World, through the Early Postclassic International Symbol Set and Mimbres figurative pottery design, to A.D. 1440s Salado ceramic symbolism. McKusick, Charmion R. and Jon Nathan Young. 136 pages, 56 figures, 19 tables, and an extensive index. This volume is a reissue of a volume originally published by the Society’s now-inactive Salado chapter, located in Globe, Arizona. Authored by Charmion R. McKusick and Jon Nathan Young, this volume examines the type-site of the Salado Culture, Gila Pueblo, and provides details for many of the insights described in Number 41, above.